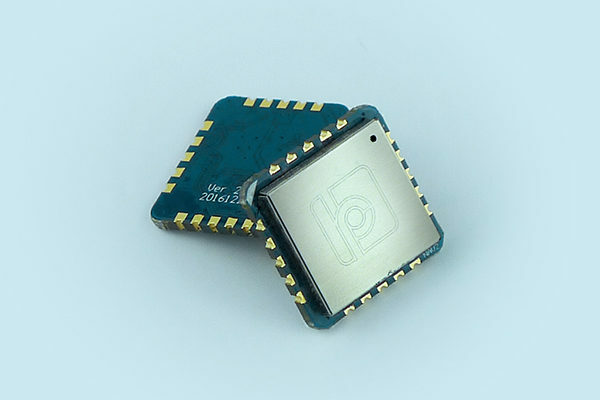 LPMS-B2, besides Bluetooth classic, also supports Bluetooth 4 / Bluetooth Low Energy. This allows us to connect the sensor to Apple mobile devices such as the iPad, iPhone or the Apple watch. We recently have created a library that enables development of applications supporting LPMS-B2 on these devices. The library can be accessed via our open source repository. We have written a quick start guide for the LP VR system. 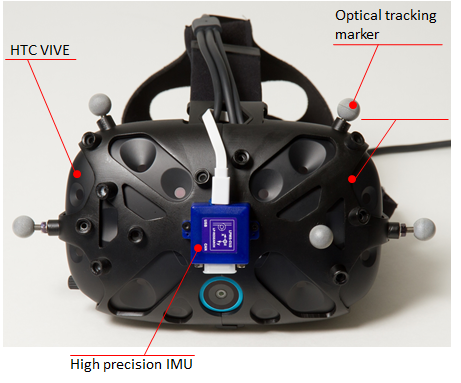 The guide describes the assembly of the VIVE marker holder and the installation/usage of the LPVR SteamVR driver. The guide at the moment doesn’t contain information about the new VIVE Pro holder, but this will be added later. 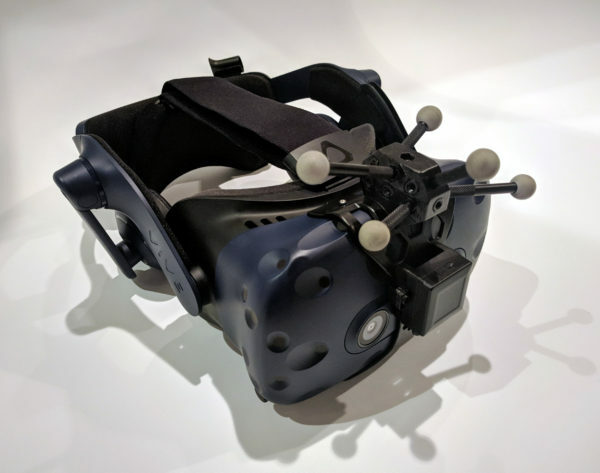 We have been working on the development of a optical marker/sensor holder for the VIVE Pro for a few weeks. It is not completely finished yet, but below is a photo of a prototype. Our large-scale VR solution allows any SteamVR-based (e.g. 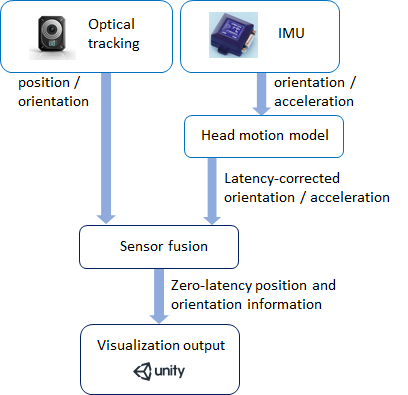 Unity, Unreal, VRED) Virtual Reality software to seamlessly use the HTC VIVE headset together with most large-room tracking systems available on the market (OptiTrack, Vicon, ART). It enables easy configuration and fits into the SteamVR framework, minimizing the effort needed to port applications to large rooms. One of our first users, Lightshape, have recently released a video showing what they built with our technology. They call it the Holodeck Control Center, an application which creates multi-user collaborative VR spaces. In it users can communicate and see the same scene whether they are the same real room or in different locations. The installation showcased in the video is used by German car maker Audi to study cars that haven’t been built yet. 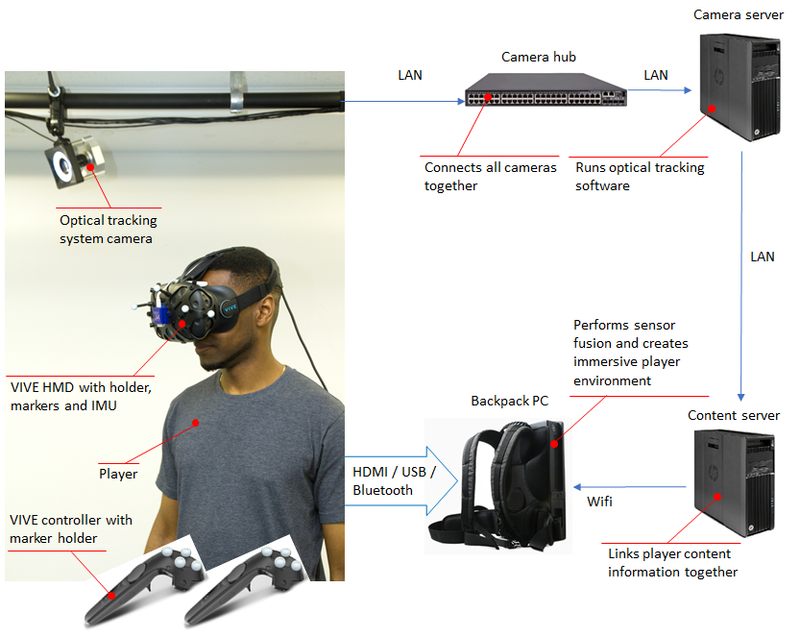 Our technology is essential in order to get the best VR experience possible on the 15m × 15m of the main VR surface, combining optical tracking data and IMU measurements to provide precise and responsive positioning of the headsets. Please have a look at Lightshape’s video below. In the near future, this installation will be updated to the HTC Vive Pro which our software already supports. 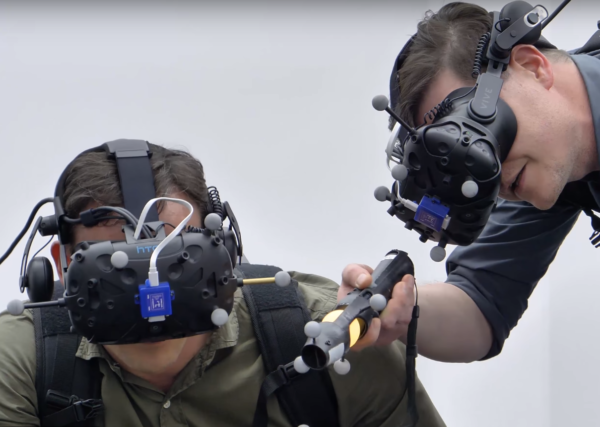 The increased pixel density of this successor of the HTC Vive will make the scenes look even more realistic. The resolution is high enough to actually read the various panels once you are in the drivers seat! 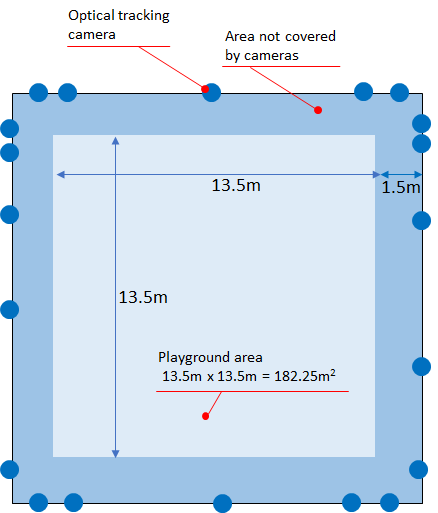 Besides that, we are also busy studying applications of the front-facing cameras of the Vive Pro in order to improve multi-user interaction.